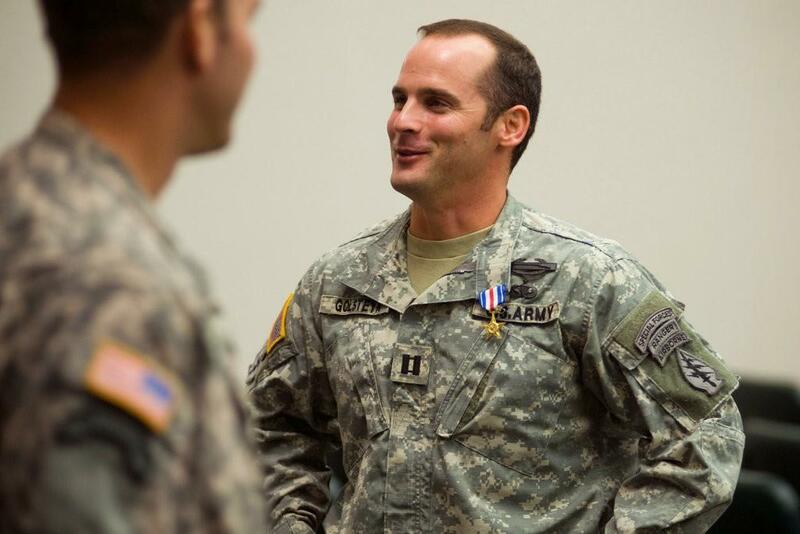 Do You Want Trump to Pardon the Green Beret Charged With Murder? Should Trump Pardon a Green Beret Suspected of Killing a Taliban Bomb-Maker? Last week brought news that Green Beret Maj. Mathew Golsteyn had been charged with murdering a suspected Taliban bomb-maker in U.S. custody in 2010. On Sunday, President Donald Trump tweeted that he’d review the case himself. What did Golsetyn allegedly do? Military investigators say Golsteyn defied orders to release the suspected bomb maker, and instead led him off base, executed him, and buried his body is a shallow grave. Military legal experts are questioning whether Trump may be exerting “unlawful command influence"—a doctrine requiring the chain of command to detach itself from any military legal proceeding. But retired Army Brig. Gen. Anthony J. Tata wrote in an opinion piece on Fox News that “Trump is perfectly within his legal authority” to float a pardon. Should Trump pardon Maj. Mathew Golsteyn? Take action above and tell your reps, then share your thoughts below.